[193 Pages Report] The global adherence packaging market is projected to reach USD 917.7 Million by 2022 from a base USD 646.0 Million in 2016, at a CAGR of 6.2%. Market growth can be attributed to the growing need to minimize medication wastage, high rate of medication nonadherence, and technological advancements such as remote dispensing systems. On the other hand, high installation and maintenance costs of automated systems are expected to restrain the overall market growth during the forecast period. Top-down and bottom-up approaches were used to validate the size of the global medication adherence packaging market and estimate the size of various other dependent submarkets. Major players in the market were identified through secondary sources; directories; databases such as Hoovers, Bloomberg Businessweek, Factiva, and OneSource, journals and their market revenues were determined through primary and secondary research. 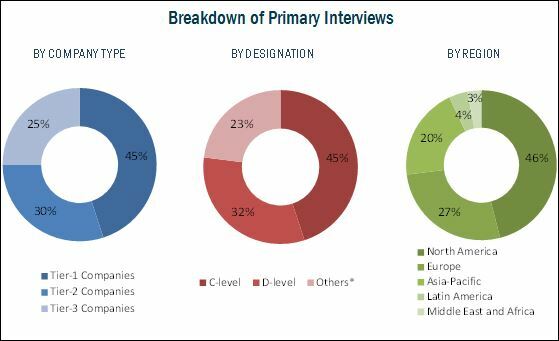 Secondary research included the study of the annual and financial reports of top market players, whereas primary research included extensive interviews with the key opinion leaders such as CEOs, directors, and marketing executives. The percentage splits, shares, and breakdowns of the product markets were determined using secondary sources and verified through primary sources. All possible parameters that affect the market covered in this research study have been accounted for, viewed in extensive detail, verified through primary research, and analyzed to get the final quantitative and qualitative data. This data is consolidated and added with detailed inputs and analysis from MarketsandMarkets and presented in this report. The global medication adherence packaging market is consolidated in nature with the top five players, namely, Cardinal Health, Inc. (U.S.), Omnicell, Inc. (U.S.), Becton, Dickinson and Company (U.S.), Talyst, LLC (U.S.), and Parata Systems LLC (U.S.) accounting for ~60% of the market share in 2016. The other players in this market include TCGRx (U.S.), McKesson Corporation (U.S.), KUKA AG (Germany), Pearson Medical Technologies LLC (U.S.), RxSafe, LLC (U.S.), ARxIUM, Inc. (U.S.), Manrex Limited (Canada), Accu-Chart Plus Healthcare Systems, Inc. (U.S.), Synergy Medical (Canada), Manchac Technologies, LLC (U.S.), Global Factories B.V. (Netherlands), Drug Package, LLC (U.S.), Jones Packaging Inc. (U.S.), American Health Packaging (AmerisourceBergen) (U.S.), and Medicine-On-Time (U.S.), who collectively accounted for a share of ~40% of the market in 2016. The leading players are continuously developing new and innovative products to maintain their shares in the adherence packaging market. The global adherence packaging market is projected to reach USD 917.7 Million by 2022 from an estimated USD 679.1 Million in 2017, at a CAGR of 6.2%. Market growth can be attributed to the growing need to minimize medication wastage, high rate of medication nonadherence, and technological advancements such as remote dispensing systems. On the other hand, high installation and maintenance costs of automated systems are expected to restrain the overall market growth during the forecast period. In this report, the global medication adherence packaging market is segmented on the basis of systems type, packaging type & material, and end users. This report also provides market information on major regional segments, namely, North America, Europe, Asia-Pacific, Latin America, and the Middle East & Africa. In 2016, the multi-dose packaging systems dominated the adherence systems market. The multi-dose packaging systems segment is further segmented into blister card packaging systems and strip/pouch packaging systems. The large share and high growth of this segment can primarily be attributed to the benefits of multi-dose packaging, such as assisting patients with complicated prescription regimens, ability to enhance patient safety, and elimination of medication waste. Based on packaging type, the blister cards segment dominated the adherence packaging market. The large share and high growth of this segment can be attributed to enhanced medication shelf life, better tamper resistance, easy storage & transport, reduced medicine dispensing time, and improved medication adherence. By material, the adherence packaging market is classified into plastic film, paper & paperboard, and aluminum. The plastic film segment is expected to register the highest CAGR during the forecast period. The growth can be attributed to its transparency, malleability, lightweight, and cost-effectiveness. The major end users of adherence packaging market are retail pharmacies, long-term care facilities, and hospitals. Long-term care is the fastest growing end user segment in the medication adherence packaging market during the forecast period. In 2016, the retail pharmacies dominated the adherence packaging market. Growing need to prevent dispensing errors and thereby improving the operational capacity are the factors driving the adoption of adherence packaging in retail pharmacies. Geographically, the global adherence packaging market is segmented into North America, Europe, Asia-Pacific, Latin America, and the Middle East & Africa. In 2016, North America dominated the global adherence packaging market. Factors such as the rising prevalence of chronic diseases, increase in healthcare expenditure, rapid growth in the aging population, growing pharmaceuticals market, high rate of medication nonadherence, and increase in funding by government agencies are driving the growth of the adherence packaging market in North America. Europe is the fastest-growing market for adherence packaging market. 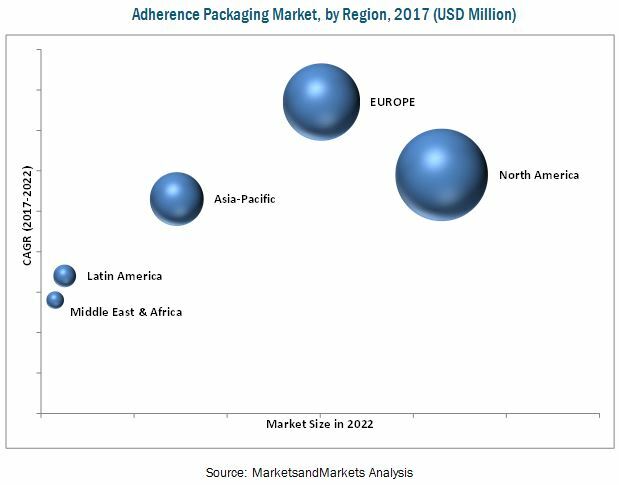 The growth of the adherence packaging market across the European region is primarily driven by the availability of significant government funding for R&D, presence of leading adherence packaging companies, increasing prevalence of cardiovascular diseases, and growth in aging population drives the demand for effective solutions. The major players in the medication adherence packaging market are Becton, Dickinson, and Company (U.S.), Omnicell, Inc. (U.S.), Cardinal Health, Inc. (U.S.), McKesson Corporation (U.S.), Parata Systems LLC (U.S), TCGRx (U.S.), RxSafe, LLC (U.S.), Pearson Medical Technologies, LLC (U.S.), Talyst, LLC. (U.S.), Parata Systems LLC (U.S.), ARxIUM, Inc. (Canada), and KUKA AG (Germany). 11.14 Accu-Chart Plus Healthcare Systems, Inc.
*Overview, Products Offered, Strength of Product Portfolio, Business Strategy Excellence, Recent Developments Might Not Be Captured in Case of Unlisted Companies.